Soen Audio is both new and experienced at making speakers. The young company is formed by a small group of engineers and designers from household names like JBL and Harmon. 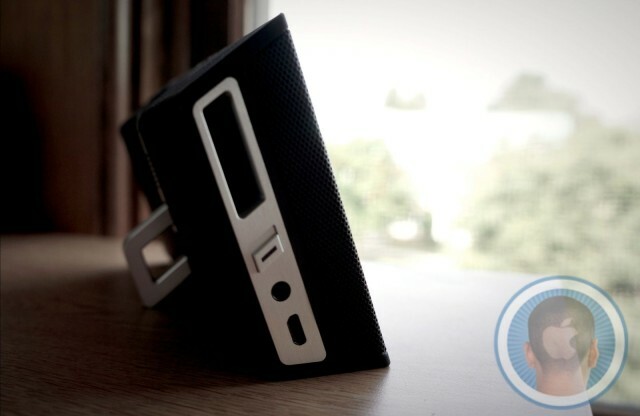 But Soen only has one product out so far, a portable Bluetooth speaker called Transit that started shipping this week. Boasting a striking industrial design and surprisingly rich sound, the Transit is a more grown-up speaker than most of its competition. I’ve been using a Transit for the past few weeks, and it has become something I enjoy on a daily basis. The design of the Transit is top-notch. Soen cares about quality, and it’s obvious from the moment you open the box. Everything is packaged beautifully. Beyond the essential USB charge cable, the speaker includes a rubberized grill cover that’s detachable via magnets and a compact travel charger. One essential hallmark of a portable speaker is durability and an attractive finish, and the Transit has both. I wouldn’t probably take it on a camping trip, but it isn’t fragile enough to warrant a permanent place on your bookshelf. On one side of the speaker there’s a power button, standard audio jack, and mini-USB port for charging. A volume rocker sits on top with a sandwiched paring button. A metal kickstand pops out of the back to let you prop the Transit up just about anywhere, which is a nice touch. The whole device is light, but the build quality still feels super solid. And for the most important question: how does it sound? As stated above, I was surprised by the rich tones that were produced, especially considering that the Transit only has two audio drivers (the Jambox has three) and the small hole on the side for bass. I’m not an audiophile, but I know good sound when I hear it, and the Transit is not shabby. It fills my quaint apartment quite nicely, and I haven’t run into a problem with balancing the bass and treble. You’re not going to wake up the neighbors, but you won’t have any problem filling a decently sized room. The Transit also has a built-in speakerphone, which I only had the chance to use a couple times. I could hear the person on the other line just fine, and I didn’t get any complaints about sounding too distant or echoey. 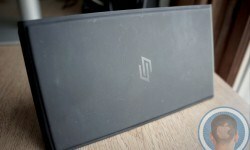 Soen promises eight hours of battery life, but I got closer to five and sometimes four in most cases. There’s definitely enough juice to get you through an afternoon at the pool or a dinner party, but all-day battery life isn’t a reality. Bluetooth itself is the biggest disability for the Transit. You’re supposed to be able to connect and get a good stream within 33 feet, but I found that more than 10 feet of separation from my iPhone started to either degrade the quality or cause split-second drops. Also, try to avoid putting any objects between the device you’re streaming to the Transit—something like a wall being in the way will make streaming very choppy. 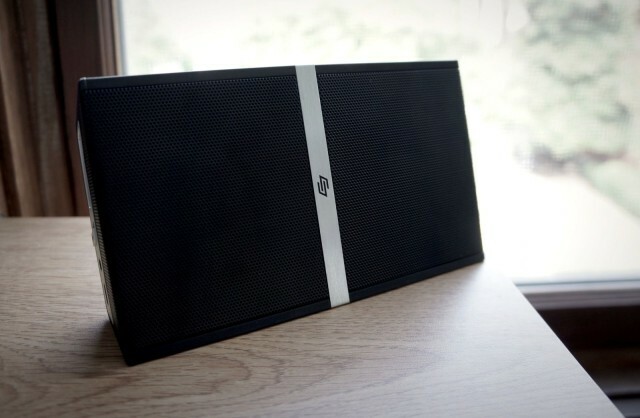 I’ve been on the hunt for a portable speaker that connects via Bluetooth or AirPlay, and while I would have preferred for Transit to support the latter, I realize that you’ll be hard pressed to find a halfway decent AirPlay speaker out there for less than $300. For the price point it’s set at, the Transit makes for a conflicting purchasing decision. 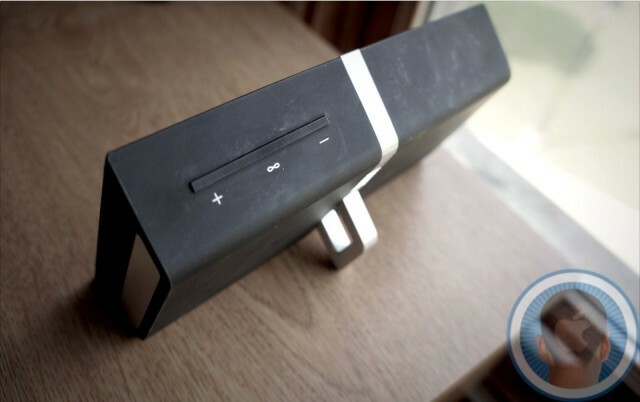 One one hand, you’ve got a beautifully designed product with good sound. But is it good enough to beat the Jambox at $180, a speaker that is considerably cheaper and just as good-sounding (if not arguably better)? That’s tough. I wouldn’t only consider the Transit if you’re looking for a Bluetooth speaker, but I wouldn’t rule it out either. The Good: Excellent design and good sound. The Bad: Battery life isn’t stellar, and Bluetooth can be shaky. The Verdict: A beautiful product you should definitely consider.